I can't believe its nearing the end of January already! It feels like yesterday I was prepping for Christmas, and now here I am posting reviews on subscription boxes I received in January. A few days ago I received my Bellabox January Beauty Resolutions Subscription Box, and I wanted to share all of the goodies I received! 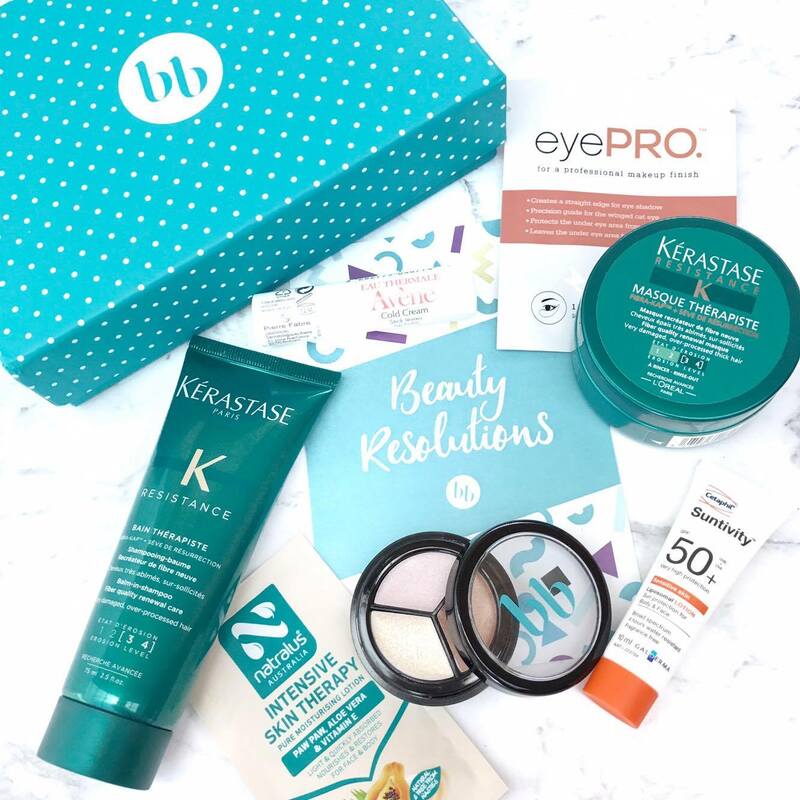 This month's Bellabox came filled with a great variety of products 'Beauty Resolution' themed, and I feel that the products I received are basically my dream selection of beauty products; I mean hello, highlighters, sunscreen, lip balm and hair care?! I was so super excited to receive this custom shimmer trio in unicorn! Highlighters are basically my favourite beauty products and I have tried so many, so I had high expectations. This trio didn't let me down! 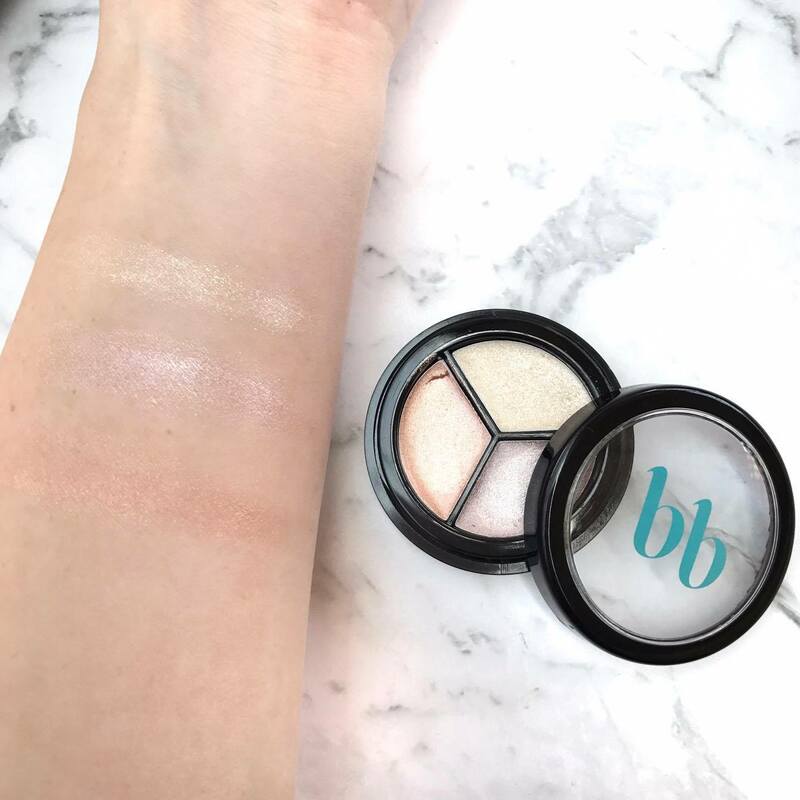 These cream highlighters are gorgeous and are perfect for adding glow and illumination to eyes, lips and face. I find lots of highlighters too dark for my skin tone but I can use all three of the shades included in this trio which I love. I am obsessed with Cetaphil, and I am always looking to try new sunscreens, so I was so happy to receive this. I love that this is fragrance free and SPF50+. I will be definitely be using this the next time I head to the beach. These two hair products really piqued my curiosity, as it took me the longest time to figure out what they were used for! As far as I can tell, they are to be used as a shampoo and conditioner combo. I have dry and damaged hair, which they are designed for, so I cant wait to test these out! I am a lip balm fiend. Seriously, I break into a cold sweat at the thought of being somewhere, feeling my lips becoming dry, and not having a balm to smear thickly over them. I have uber dry lips so here's hoping this will be my new fave lip balm! These easily removable pads act as a precision guide and catch any fallout when applying eyeshadow. I have wanted to try these products for a while now and I'm so excited to be able to try them now. I need all the help I can get with my eyeshadow application! I have super dry skin, so I love lotion samples as they are super handy for popping in my bag for use on the go. This lotion sounds lovely and right up my alley! 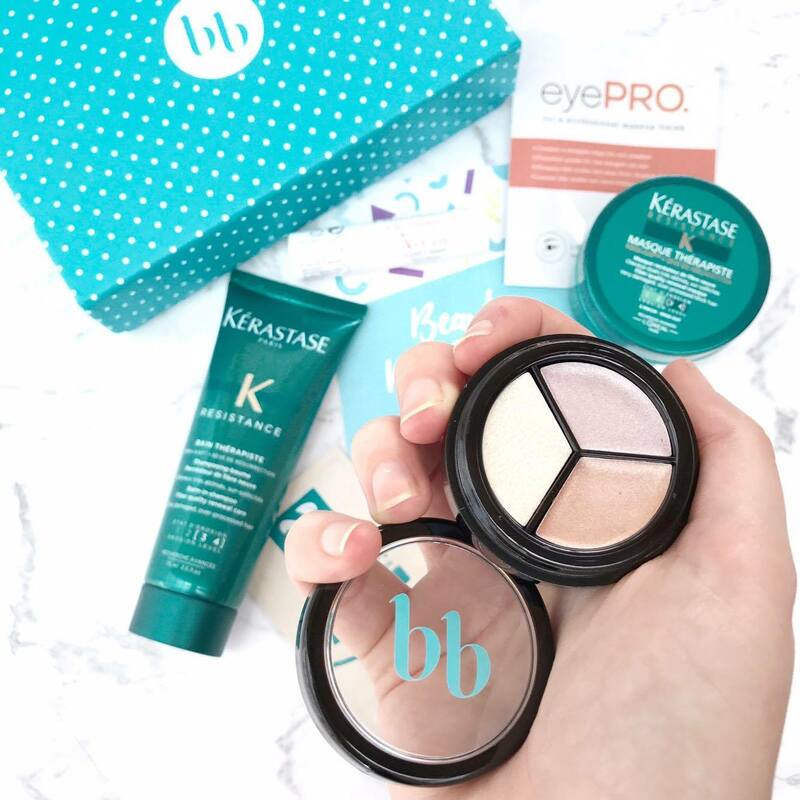 I am obsessed with the selection of products in this month's Bellabox! I will use everything (and probably love!) I received. If you are interested in subscribing to Bella Box, click here to receive your first box for only $10!